When I first met Dee I instantly warmed to this sassy, smart young woman with a wicked sense of humour. I would never have believed that she secretly suffered with low self-confidence and was quite camera shy. 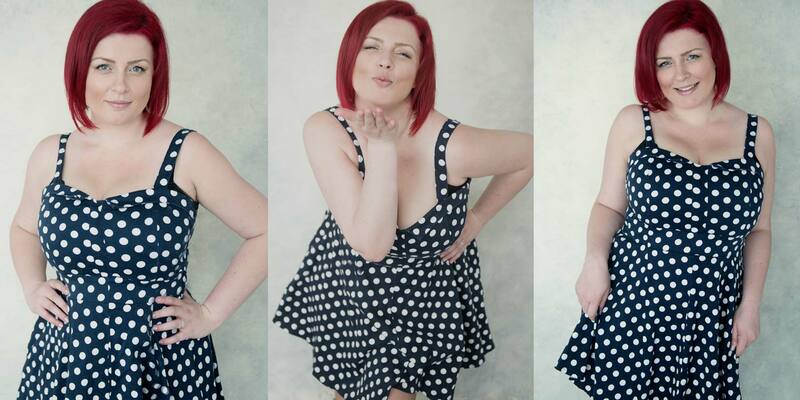 Thankfully Dee’s photo shoot with me gave her a big confidence boost and she hasn’t looked back! Dee interviewed me for her podcast and we talked about how we both feel about being photographed. I was surprised when she admitted that despite running her own business as a VA, she is quite shy and doesn’t have a lot of confidence. And when she did pluck up the courage to have a photo shoot with me she found the experience “very empowering and quite a confidence boost”. Do you suffer with low self-esteem or confidence issues… do you hide from the camera? If so you are not alone. Many of my clients have a photo shoot to push themselves out of their comfort zone. Once at my studio they relax and actually really enjoy the session and find it fun! And when they see the results it helps them to see themselves in a new light and boosts their self-image. Call me on 01442 769303 or use the Contact Form to tell me why you feel it is about time you saw yourself in a different light. Click here to listen to Dee’s podcast with me where we discuss how photography can help with confidence. Dee before her makeover and photoshoot…. excited and a little nervous!